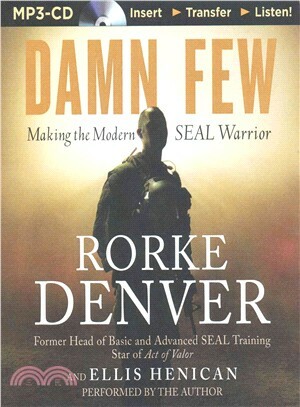 Rorke Denver trains the men who become Navy SEALs — the most creative problem solvers on the modern battlefield, ideal warriors for the kinds of wars America is fighting now. With his years of action-packed mission experience and top training role, Lieutenant Commander Denver understands exactly how tomorrow’s soldiers are recruited, sculpted, motivated, and deployed.Now, Denver takes you inside his fascinating personal story and the demanding SEAL training program he oversees. Arriving as a young SEAL hopeful. Pushing his way through the crucible of Hell Week. Turning himself into a lethal warrior for America, then leading his SEAL brothers on dangerous stealth missions around the globe. Preparing the next generation of SEALs for their “Hero or Zero” missions to come.In startling detail, Denver reveals how the SEALs’ high-impact operations became front and center in America’s War on Terror — and how these modern warriors are altering warfare everywhere.